The Christmas tree is down and the ornaments and decorations are put away until next year, when we’ll play the “where are the Christmas stockings?” game again. Every reminder of the holiday is gone except one: the tacky orange and gold ornamental lamp coated in glitter and tiny white lights stands tall, and will continue to do so with good reason. It makes me happy. And across town, its identical twin makes a dear friend happy, too. 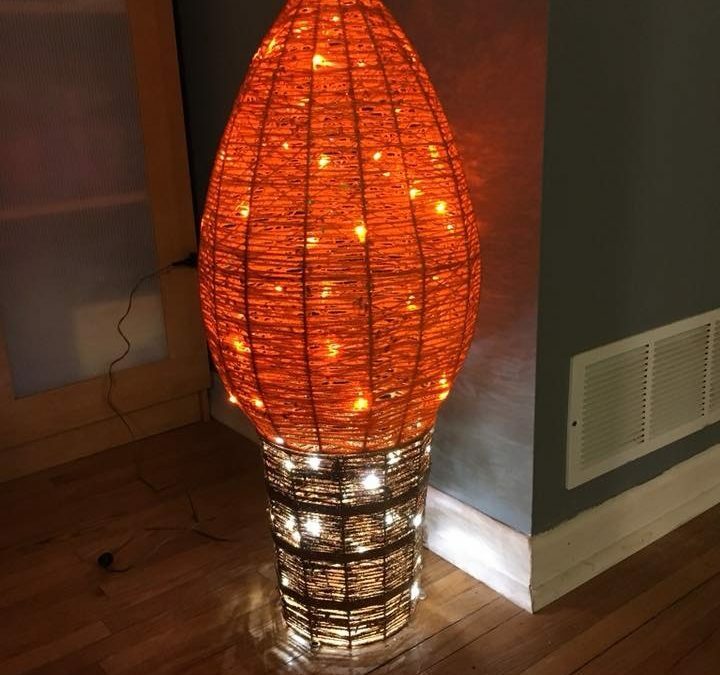 Purchased days before Christmas, the matching orange lamps were bought at a store that sells outcasts of merchandise nobody else wanted, except myself and my equally goofy friend, who also happens to be one of the best souls I know. She is the Thelma to my Louise (if that were a happy story with a happier ending and no crime spree). What I mean is, she is a fabulous co-pilot on road trips. Our schedules make adventures rare, so when an opportunity to hit the open road on a snowy December day arrived, we ventured out with the explicit understanding that what got said in the car stayed in the car. And oh boy, did stuff get said. Therapy, Toyota style. We drove to the outskirts of Wellington County to run an errand, but once that was completed, there was no stopping us. Thelma and Louise were cutting loose on a wild adventure. To be fair, when I say wild, I mean we had to be home in time to cook dinner and cutting loose meant texting home to reassure our families we hadn’t run off to California (that may or may not have been discussed during the Toyota therapy). For a few blissful hours, we were living in the moment, forgetting the mounting stress of the Christmas holiday looming over us both. As luck would have it, we happened upon an outlet store and decided to venture in, because when you have time to waste, ironically you don’t dare waste it. We had no expectations. We picked through the bargain bins, chatting away in a casual code that only a truly relaxed friendship can create. Nothing caught our fancy until we were leaving. 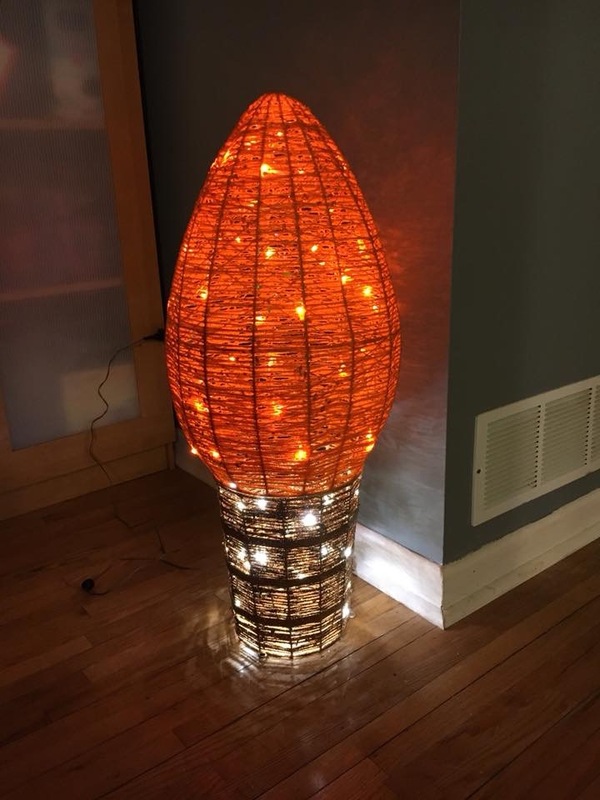 There, atop an outdoor sale rack were four glittery ornamental lamps, each made to look like an oversized orange Christmas light bulb with a gold base. Destiny. Orange is my favourite colour and glitter is Thelma’s favourite thing. You would have thought we’d found diamonds on sale for the commotion we caused running through the store, holding the gaudy lights up to an outlet for testing and carrying two of them proudly to the cashier like we’d scored the ultimate deal. The cashier’s face suggested otherwise. “Can I ask what you are planning to do with these?” she asked with genuine curiosity. Plug them in and let them shine. We were beaming. Thelma insisted on buying and in doing so, she gave me the most memorable gift of Christmas 2017. It’s a beacon of a wonderfully wacky friendship that lights me up every day. It’s a memory that cannot fit in a box. It’s a promise of happiness, the hope of adventures yet to come and Toyota therapy sessions to follow. And I assure you, it is a conversation piece for all who enter my living room. And that’s okay. I plan to plug that lamp in and let it shine all year long.